The first word that comes to mind, when thinking of the Mercedes IAA Concept shown in Frankfurt is dramatic. Think about it for a second, you can alter the body of your car from coupe to sedan in just the push of a button. Impressive, isn’t it? Morphing and transforming from one object to another was popular during the 90s, when every single music video or movie had some object transforming into another object. And Mercedes is putting the idea back in the media and mainstream culture. The name of the concept car stands for “Intelligent Aerodynamic Automobile”. The goal for Mercedes is to make a car that is able to transform itself, depending on the driving conditions and the aerodynamics and be as autonomous as possible. For now, this is just a concept, but we might see in reality. And we cannot wait for it. 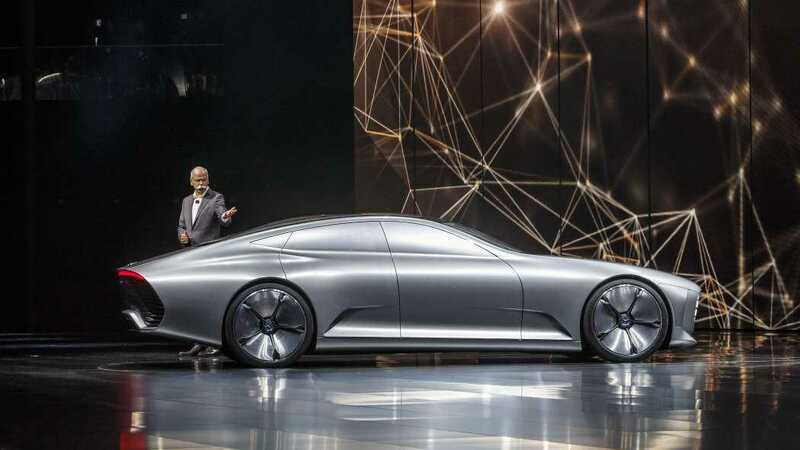 The IAA concept car by Mercedes works in a simple manner, and that is the most impressive aspect. Whenever you reach a speed of 50mph, the system of the car will transform the body from four door coupe to a longer sedan. You can also perform this action by yourself with a touch of a button. What happens when you push the button is that the rear of the vehicle extends for up to 390mm, while the front bumper is extended by 25mm. Active Rims are also altered and the louvre of the front bumper switches position, going 60mm back to the rear. The whole transformation improves the air flow and aerodynamics. 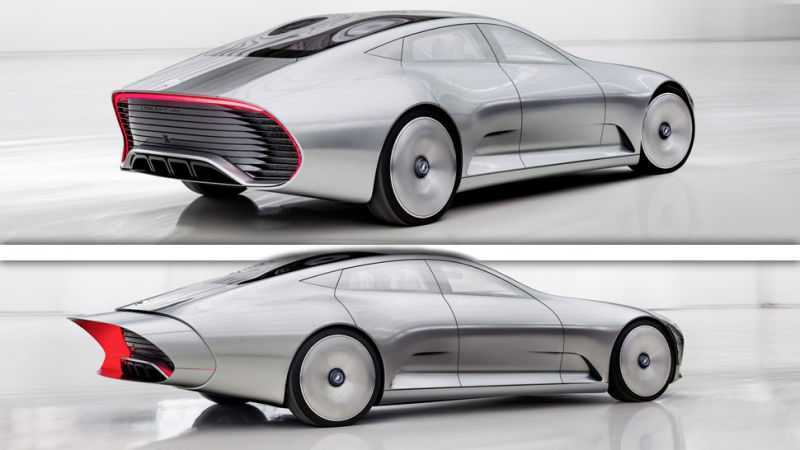 And even without the transformation, the Mercedes-Benz IAA concept is already a beautiful car. The transformation is just a bonus. In its original form, the IAA concept is a super-slippery and sleek vehicle, resembling the CLS-Class. The exterior resembles other concept cars that we have grown accustomed to seeing from Mercedes. The front features a grille with integrated lights, creating a coherent design. The side windows are tinted in order to blend with the sleekness of the car. Topping off the exterior are large wheels with wheel arches and almost no other detail. Inside, Mercedes goes even further in technology than we can imagine. The steering wheel now features what Mercedes calls Optical Finger Navigation or OFN. The buttons are embedded in the cluster and enable the driver to scroll through menus. There is a designated button for the left display and for the right display. The new design improves the philosophy of Mercedes, which is “eyes on the road and hands on the wheel”. Simple, yet brilliant, we cannot wait to see what OFN can do.